JANUARY 2014 “4000 Miles”. Director: Matthew Wiener. Cast: Patti Davis Suarez, Devon Nickel, Courtney Weir, Keilani Akagi . 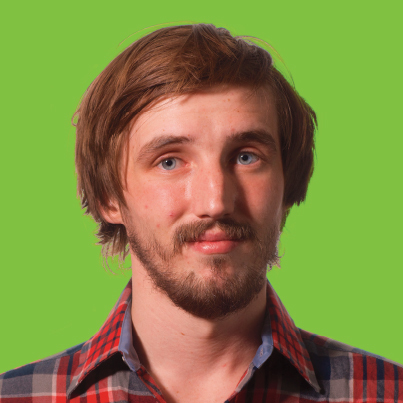 Set Designer: Jeff Thomson. Lighting Designer: Tim Monson. Costume Designer: Lois K. Myers. Stage Manager: Amy Gilbert. 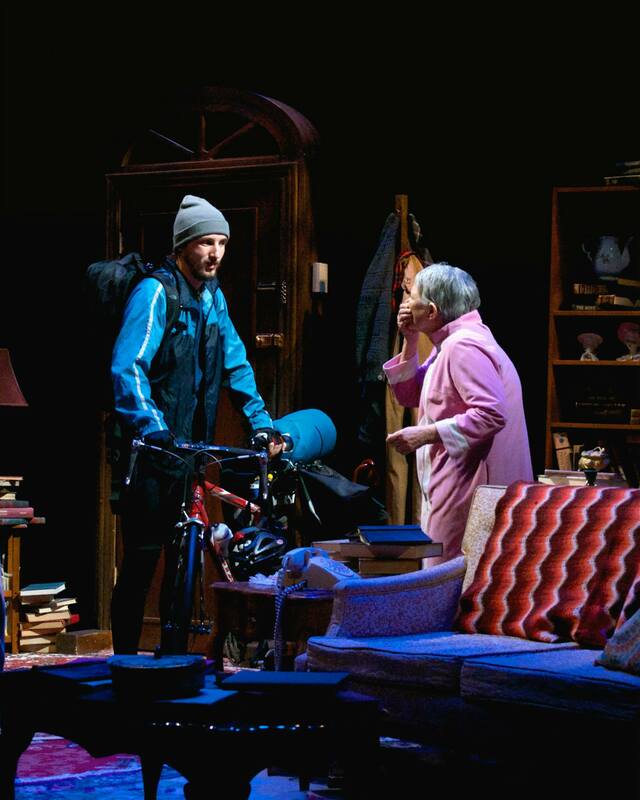 At the end of his cross-country bike trip, 21-year old Leo arrives unannounced at the Greenwich Village apartment of his 91-year old Jewish grandmother, Vera. 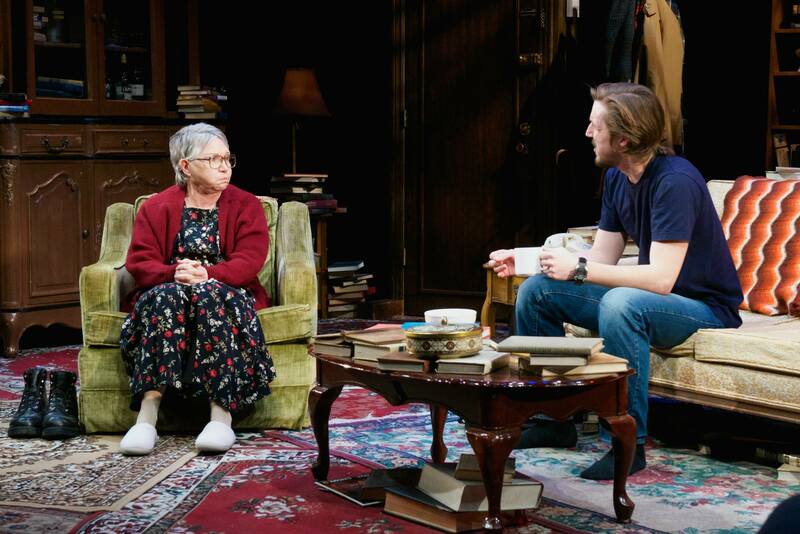 As an overnight couch-surf turns into an extended stay, this compassionate and unsentimental play explores the funny, frustrating, and ultimately life-changing relationship between a grandson learning to face his life and a grandmother who is starting to forget hers. REVIEW by Kerry Lengel, The Arizona Republic/azcentral.com, Jan. 13, 2014. It’s a different experience watching someone you know — or think you know — onstage from watching a stranger, no matter how talented. This is one of the reasons Broadway comes under perennial criticism for stunt-casting Hollywood celebrities, particularly in such classic plays as Romeo and Juliet and Cat on a Hot Tin Roof. And it’s understandable that veterans of the boards in New York might grumble to see plum roles go to Orlando Bloom and Scarlett Johansson. But for a first-timer dipping a toe in the theatrical waters, what a comfort it must be to have a familiar face serving as tour guide into the world of William Shakespeare or Tennessee Williams. I was thinking about this after seeing Actors Theatre’s excellent production of 4000 Miles on Sunday, Jan. 12, in a rare-for-Phoenix sold-out matinee. This is the second show of the company’s 2013-14 season and its first venture into the year-old Helen K. Mason Performing Arts Center, home to Black Theatre Troupe. Last February, financial pressures forced Actors Theatre to cut its season short and end a two-decade-plus run as a resident company of the Herberger Theater Center. The company’s survival was by no means assured, but this year it’s back for a sojourn as a vagabond troupe as it searches for a permanent home. And 4000 Miles, the Valley premiere of the Pulitzer-nominated 2011 play by Amy Herzog, is an example of what Phoenix will miss if this company’s niche is allowed to go unfilled. If you’re new to Valley theater, 4000 Miles will be a finely acted, deceptively modest family drama highlighted by the performance of Patti Davis Suarez as a 91-year-old New Yorker who finds her 20-something grandson (a perfectly cast Devon Nickel) at her doorstep in the middle of the night. And if you have experienced grief or the frustrations of family feuds, you will wince yourself, and laugh as well, as Vera and young Leo tiptoe around their past and their secrets until they come to a quiet meeting of the minds (with a little help from some entirely non-medical marijuana, in a hilarious and touching scene after intermission). On the other hand, you will have a different experience if you have seen Davis Suarez in Actors Theatre’s Doubt and Dead Man’s Cell Phone, Phoenix Theatre’s Company and Nine and, most recently, Theatre Artists Studio’s Becky Shaw. Davis Suarez is an actress who can play roles years younger than herself, but here she plays one much older and plays it with grace and dignity and no trace of vanity that would break the spell of verisimilitude onstage. And so this is even more of a bravura performance than first meets the eye. Theater, of course, is a team sport, and the star of this show gets more than convincing support from her younger castmates, two of them making their Actors Theatre debuts. Nickel (Nearly Naked Theatre’s Equus) brings a nouveau-hippie charm to his role as a Gen-Y idealist who’s just finished a cross-country bike ride, while Courtney Weir (Stray Cat Theatre’s The Flick) and Keilani Akagi (Phoenix Theatre’s Rent) add some angst and sass, respectively, as a pair of young love interests. With an effectively naturalistic production design and strong direction by Matthew Wiener, Actors Theatre’s longtime artistic director, “4000 Miles” is a drama that draws on everyday life to find moments of humor and pathos. It represents the kind of work that probably would not be performed in the Valley by any other company: a compelling contemporary drama, but one without any particular gimmick or brand-name recognition, performed with passion and integrity by top local talents. It’s the kind of theater that deserves a home. 2012. “Spring Awakening.” Phoenix Theatre.